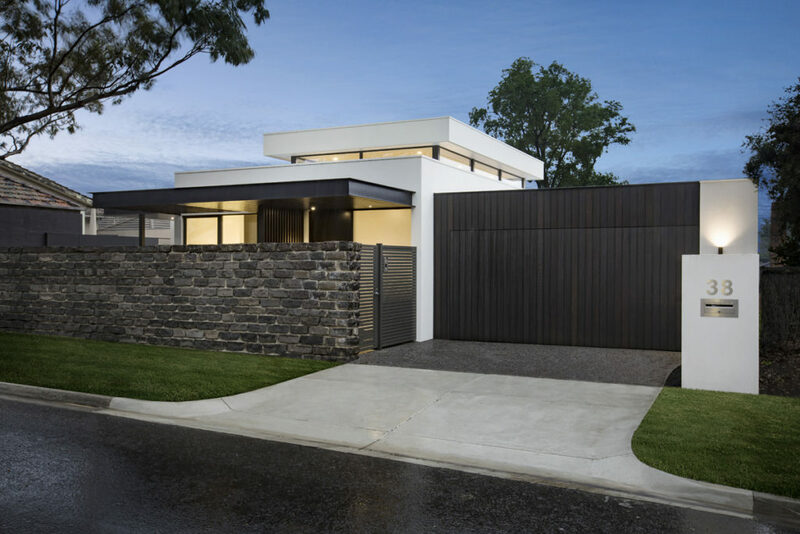 Evidently unique and award winning architecture saw the creation of two homes on this two street frontage, prime site in Beaumaris. 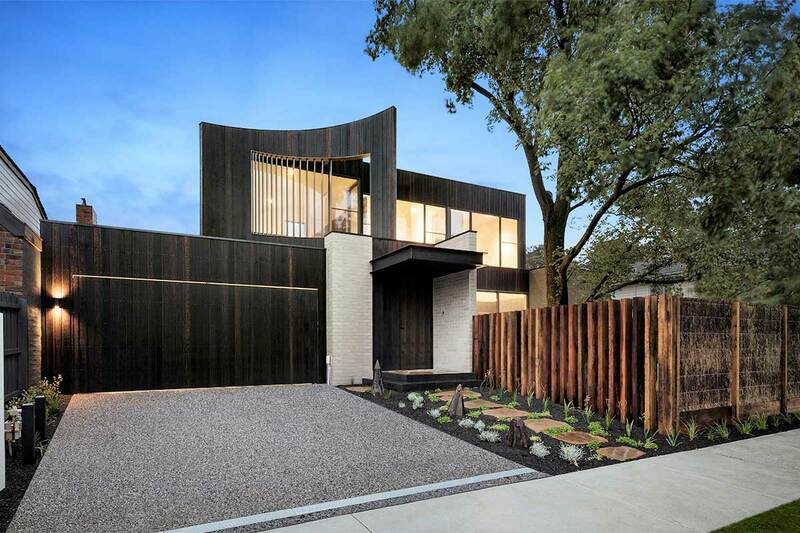 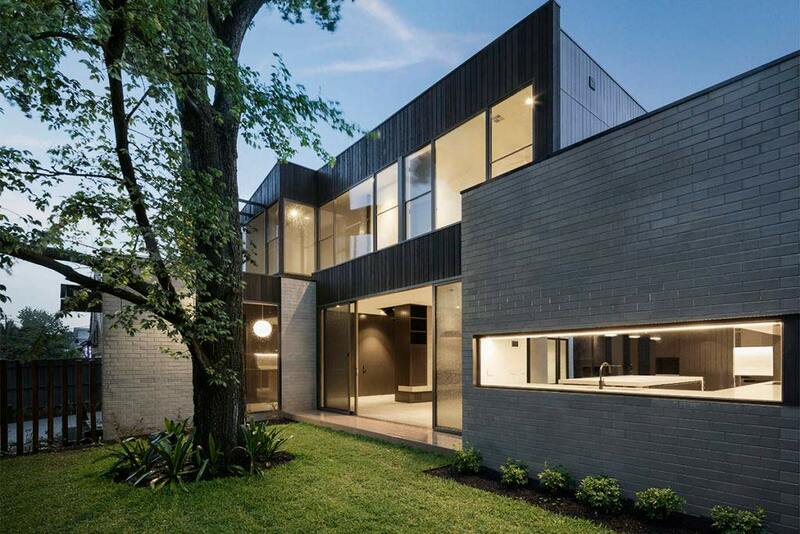 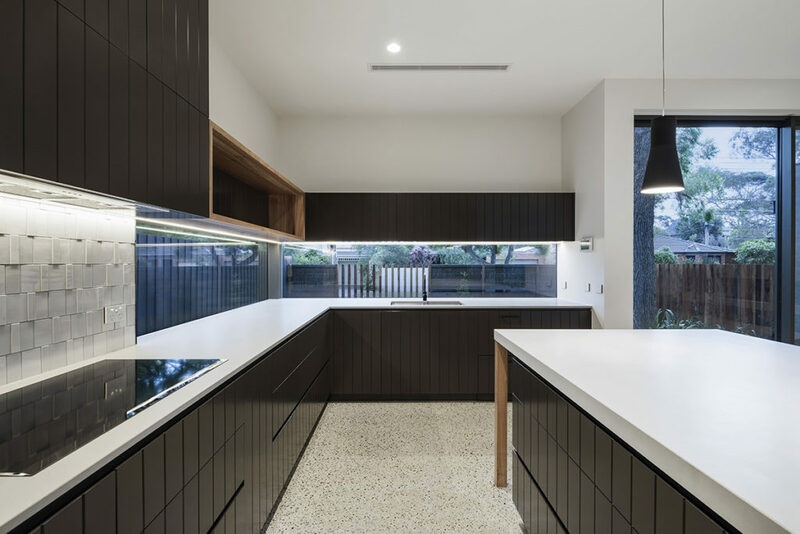 Distinct features were designed for each home commencing with the exteriors; the wave form timber paneling to one home and a layered roof line to the other. 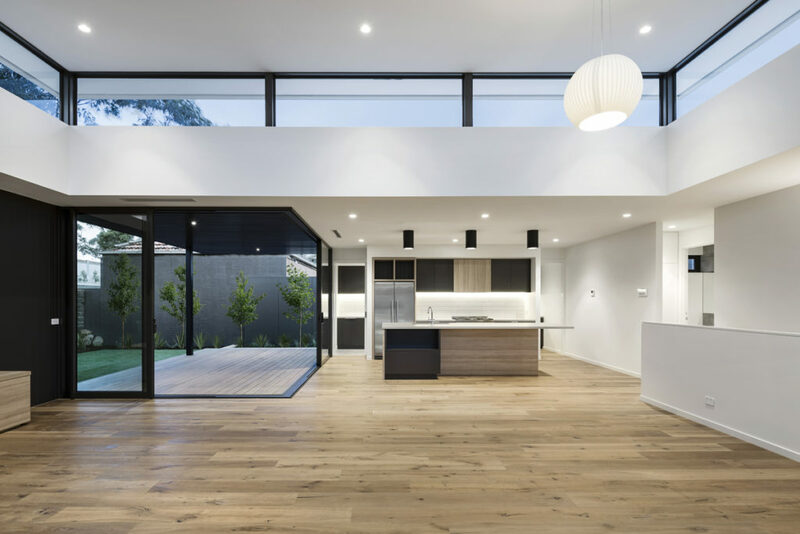 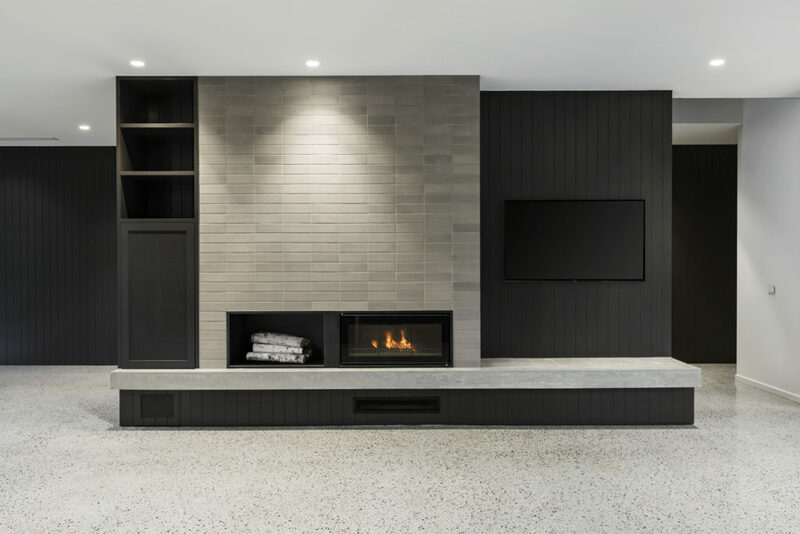 Innovative layouts for each home incorporated features such as clerestory windows and functional zoned spaces relevant to orientation and fall of land. 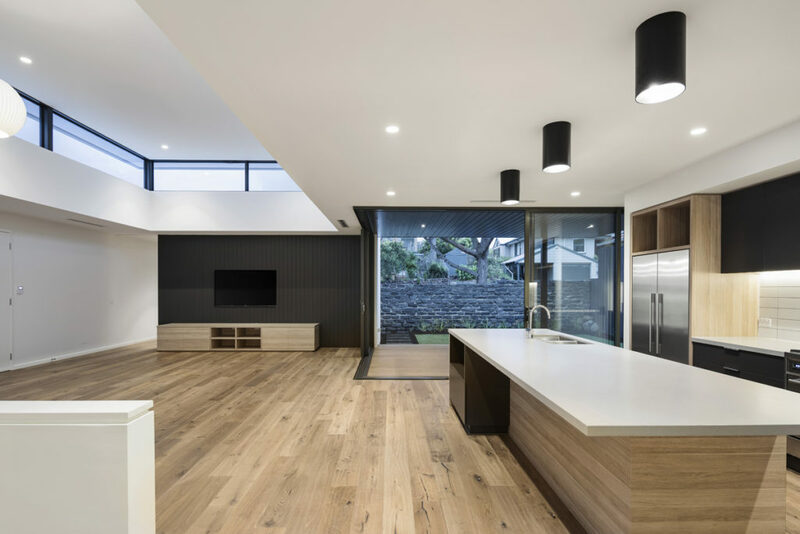 Clients commissioned Fiona Austin for the interior design, with Lowe Design & Build undertaking architectural design, town planning and construction.